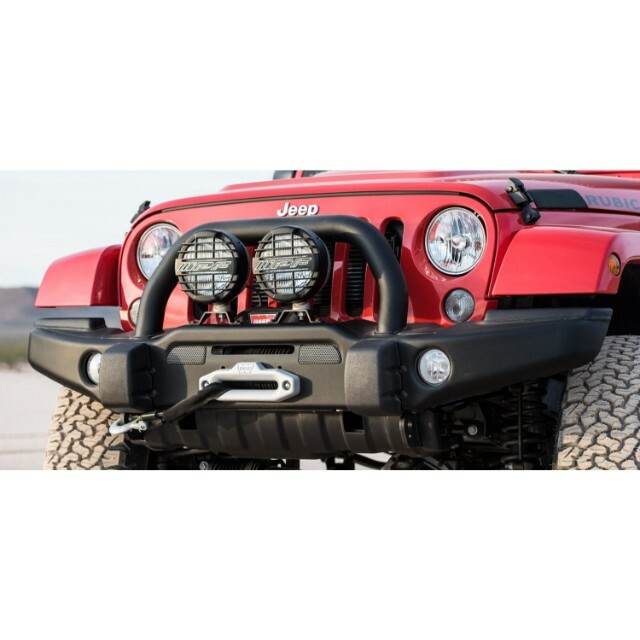 AEV’s Premium Front Bumper is built to withstand all the rigors of off road use, while maintaining a stylish and sophisticated appearance. 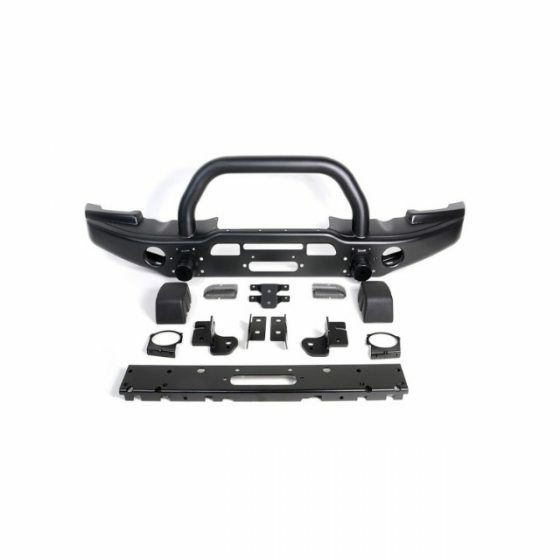 The Front Bumper’s full width design, integrated grille and radiator guard and optional Skid Plate offer superior front end protection from rocks and brush without compromising approach angle. The standard heavy duty, chassis mounted tow points and optional Winch Mount will help get you out of trouble, but still look good doing it. 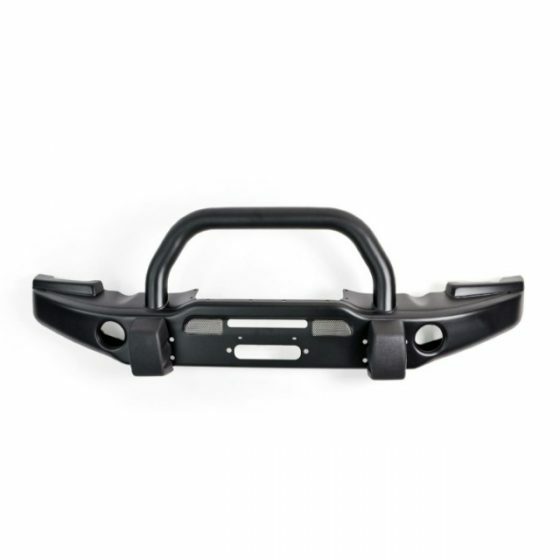 Our Premium Front Bumper includes auxiliary light mounts and factory fog light mounts. The OE crush cans are retained to help correct low speed air bag deployment. It also receives an OE-grade two stage paint process to protect your bumper from the elements. As the industry’s only stamped steel bumper, AEV’s Premium Front Bumper offers unparalleled protection and styling. Knowing that many JK owners would want to flat-tow their Jeep, AEV designed its D-Shackle mounts to easily perform double duty. 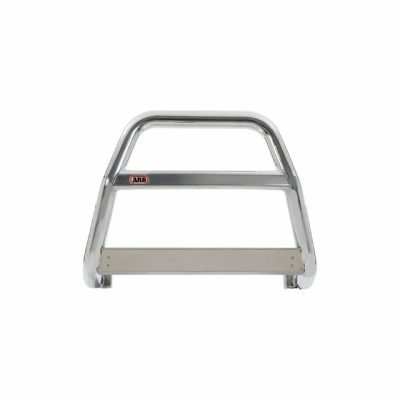 As such they are compatible with a Blue Ox towbar or a RoadMaster. However the RoadMaster requires permanently removing the AEV front Bumper Skidplate. Either one makes flat-towing the JK simple. 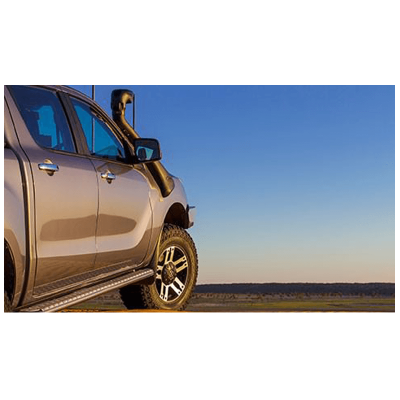 If you already own a towbar, but it does not align with AEV’s D-Shackle mounts, a competent fabrication shop can build a simple sub-frame that bolts on to AEV’s D-Shackle mounts. 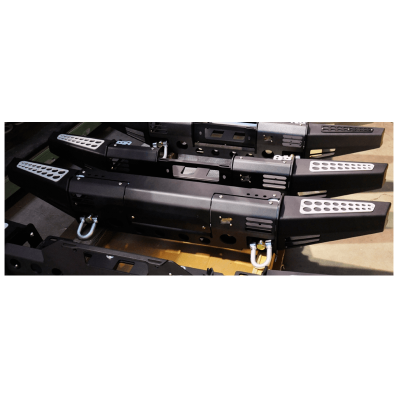 The sub-frame can be equipped with tabs to which the towbar can be attached.